***You can purchase an INEXPENSIVE AD-FREE PDF of this pattern on Etsy HERE and on Craftsy HERE. The printable PDF with step-by-step pictures has been condensed into a total of 6 pages including the cover page! 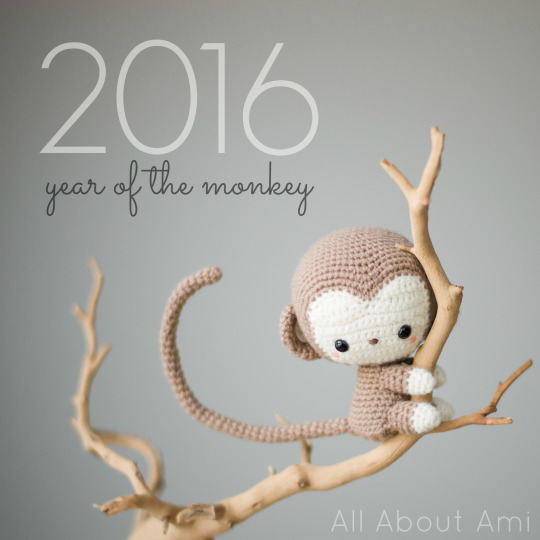 Meet Kiko, our kawaii baby monkey that we designed as a part of our Chinese New Year series! 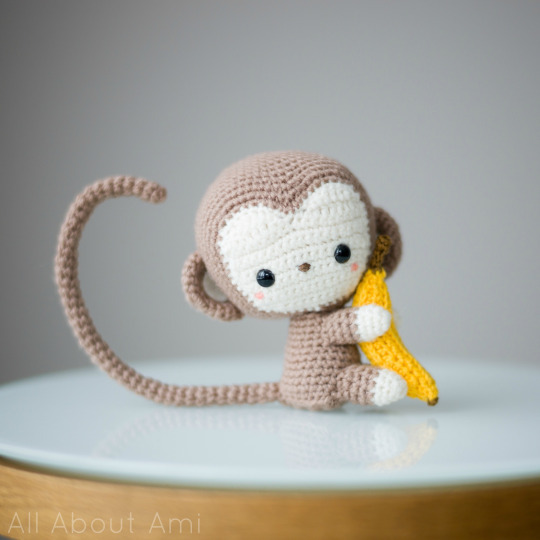 He is adorably sweet with his poseable tail, arms and legs, and he is clutching on tightly to his favourite snack of all: a banana! Note: I worked in continuous rounds (vs. joined rounds). 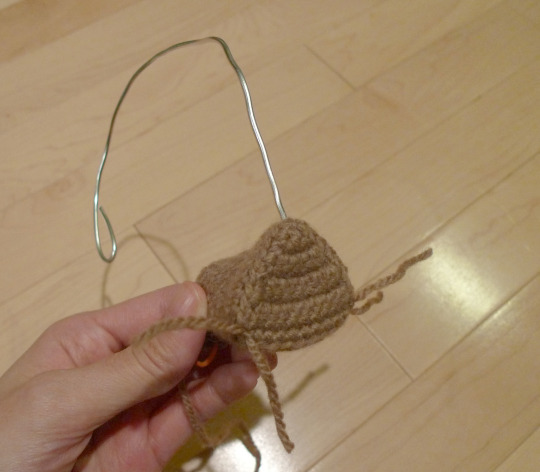 The wiring in this amigurumi is optional and should be used with caution as it is not safe for babies and young children. The wiring makes the tail and limbs poseable but is not necessary. 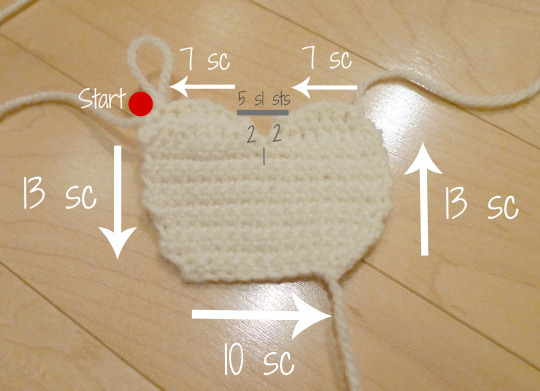 ***PLEASE follow along with my step-by-step blog post HERE to better understand this written pattern and to visually see how to connect the parts with all my photos! Chain 11 (we will be working in rows for this part). We will now be dividing the face into half to form the heart-shaped forehead. 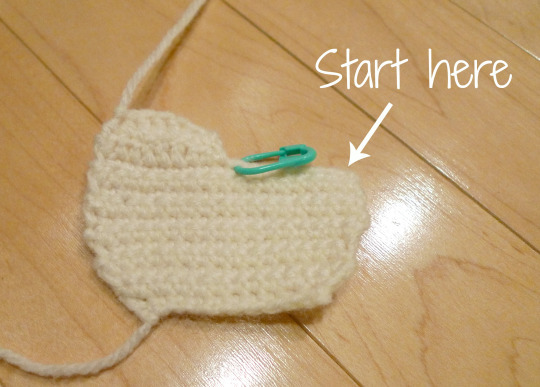 Place Clover lock ring stitch markers in the middle two stitches (9 sts in each half). 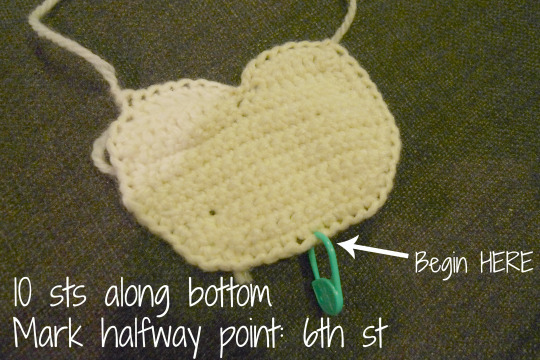 We will now crochet around the perimeter of the face as shown below. R10: *Sc 5, Dec*, rep 9 times. Sc 4 (58 sts). Embroider nose with brown embroidery floss and place safety eyes between Rows 7-8 and 8 stitches apart. Begin stuffing head. 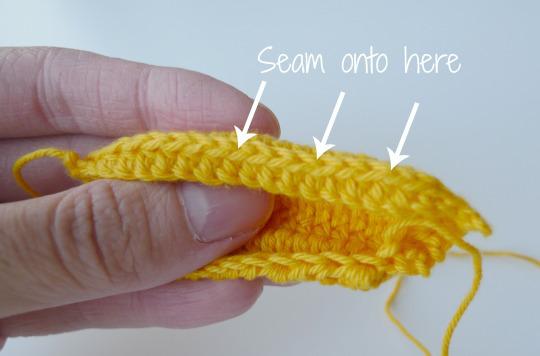 Draw through front loops of last stitches and pull tightly shut. Add pink cheeks to Monkey’s face with pink sharpie, pink brads, or pink blush. Pinch shut and sew open ends together. 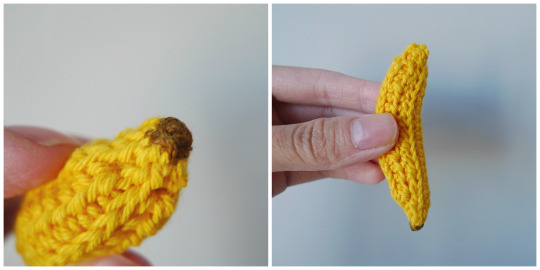 Sew onto sides of head across Rounds 8-10 of tan yarn. For lining of ear, cut two semi-circles out of beige felt and glue to inner ear. Chain 2 (we will be working in rows for this part). 8 sc down the side, 1 sc at the bottom, 8 sc up the other side, 10 sc across the top. Fasten off and leave long end for sewing. If using wiring, cut at least 15″/38 cm of decorative wiring. Form one end into triangular base that can fit into bottom of body. Place triangular base into bottom of body while poking other end of wire out of corner of triangle to form tail. 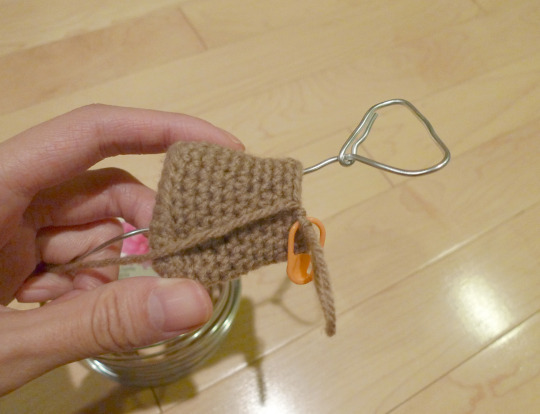 Secure triangular base by tying each corner with yarn. Bend end of tail and wrap electrical tape around it to prevent end from protruding out. Our final tail measured approximately 23 cm/9″ (with end bent). Form wire arms and legs as shown below, once again wrapping ends with electrical tape. 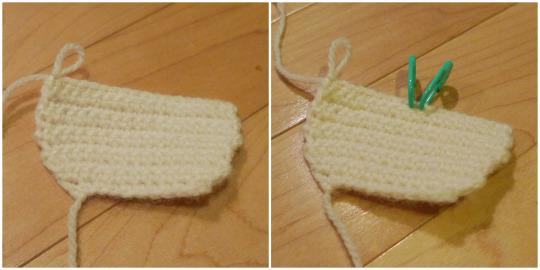 Our limbs measured approximately 3 cm/1.18″ long after being bent.. You can also crochet the limbs first to gauge what size you need to make the wire inserts. Now stuff and sew body to head. Attach head so that it is tilting downwards, near where the beige face becomes the brown head. Fasten off and leave long end for sewing. Insert onto wire arms and sew onto body. Fasten off and leave long end for sewing. 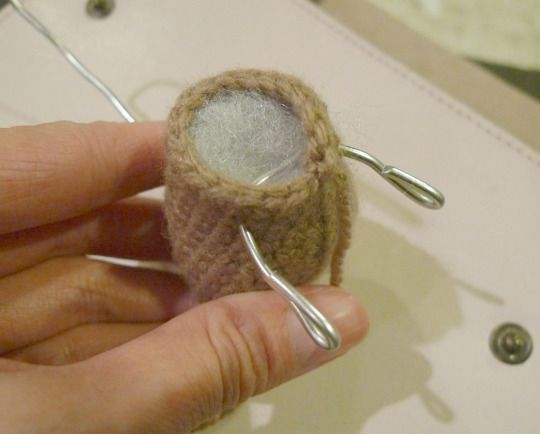 Insert onto wire legs and sew onto body. R2-44: Sc 6 (6 sts). Adjust tail to your desired length (shorter or longer based on your wire tail). Insert onto wire tail and attach to back of body. Stuff arms and legs very lightly. Minimally stuff the tail (perhaps just at base where tail joins with body) to prevent the tail from weighing down the monkey too much. Shorten the tail length (possibly to half) to minimize weight. Do not stuff the body too much- make sure that the triangular base can be inverted so that your monkey can sit well. If you stuff it too much, the triangular base will puff out, making it impossible for your monkey to sit and likely to topple over. Chain 21 (we will be working in rows). R1: Starting from second chain from hook, Sl st 2, Hdc 16, Sl st 2 (20 sts). R3: Chain 1, turn. Sl st 2, Hdc 16, Sl st 2 (20 sts). 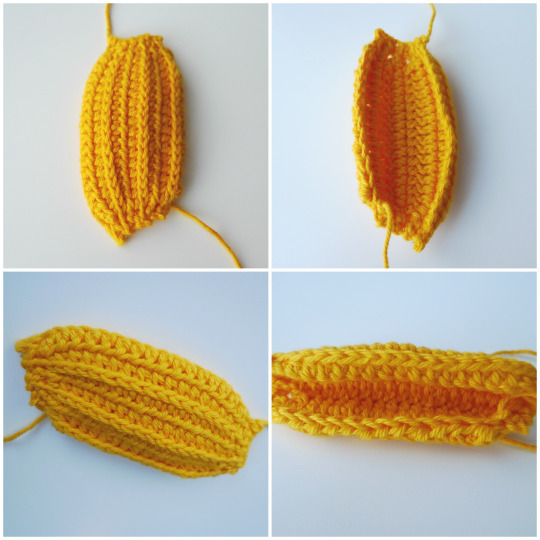 Sew banana shut by sewing onto second last row as shown below. 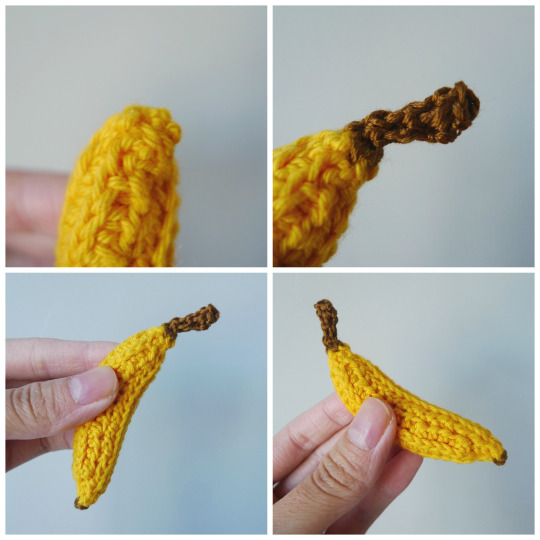 Using brown embroidery floss, sew a star/asterisk onto bottom of banana. 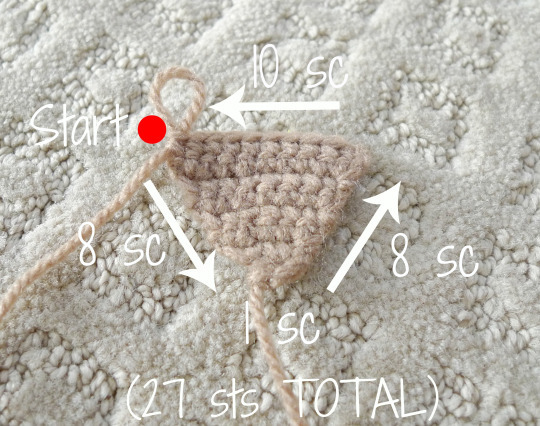 Then, sew around perimeter of star. Round 1: Pick up 4 stitches- Sc 4 (4 sts). R5: Sc 1, Inc, Sc 2 (5 sts). Your adorable monkey is now complete! Have fun posing your cutie pies and making them for all the little monkeys in your life! *** Get the pattern in Brazilian Portuguese HERE! Receita em Português Br disponível AQUI! *** Get the pattern in Dutch HERE! Vind HIER het patroon in het Nederlands! *** Get the pattern in Bulgarian HERE! Може да изтеглите модела на български от ТУК! 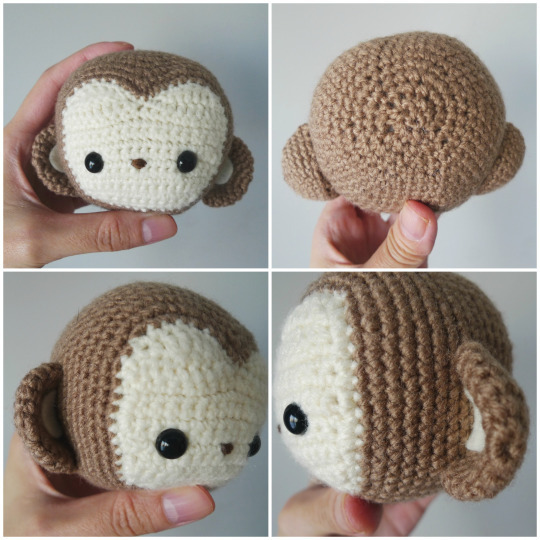 Feel free to pin the below image to your Pinterest boards to help remind you of this adorable monkey crochet design! 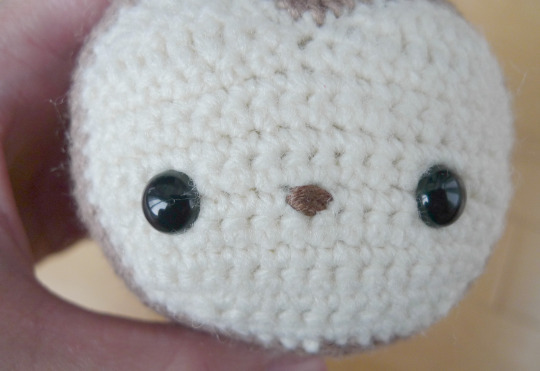 This pattern is an original pattern by Stephanie Lau of All About Ami (February 2016). Please do not claim this pattern as your own. If you wish to share this pattern, you may link to this pattern but please do not reprint it on your site. You may keep a copy for your own personal use but please DO NOT sell the pattern or distribute it.